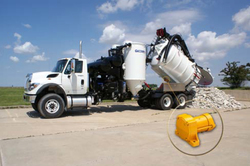 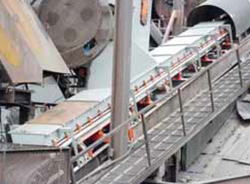 We've been solving bulk material handling problems for companies around the word for over 70 years. 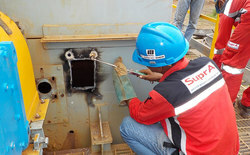 Learn more about some of their experiences below. 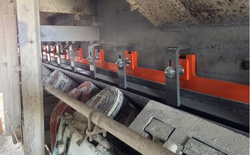 After installing tracking systems, the belt is centered and there has been no downtime due to misalignment. 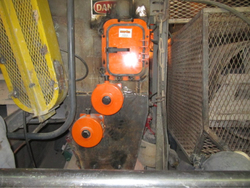 Inadequate belt cleaning allowed for pasty material to remain on the belt and spread across the floor, creating an unsafe work atmosphere. 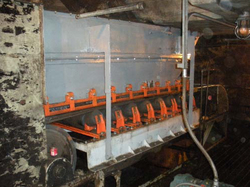 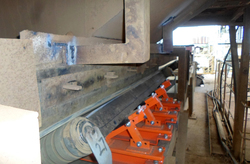 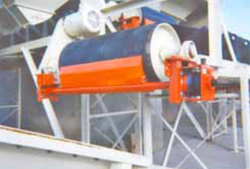 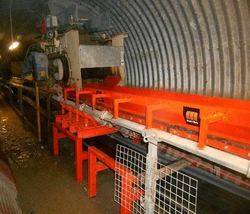 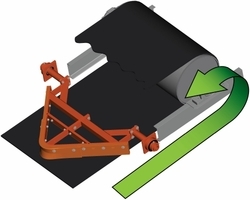 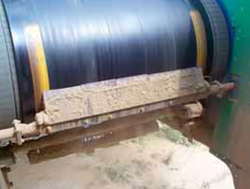 A conveyor belt at a coal mine became loose, ran askew and material was adhering to the corrective roller. 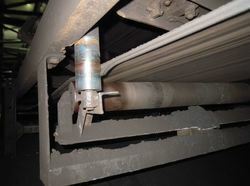 This misalignment caused the belt edges to wear, reduced the life of the belt and increased spillage along the conveyor. 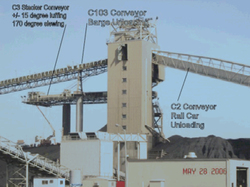 These problems not only impacted the material handling efficiency but also increased the labor intensity, and created serious environmental pollution. 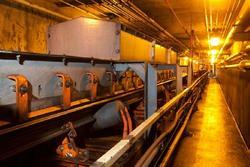 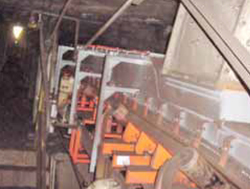 A mine was experiencing dangerous spillage at the loading zone of its tower mounted conveyor. 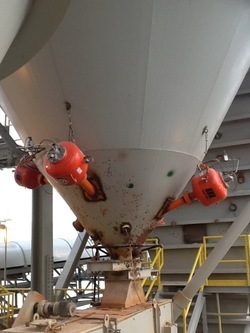 Despite installing equipment from a previous supplier, workers found that dust filled the tower and chunks of raw material spilled from the transfer chute onto the stairs, creating a potential workplace hazard. 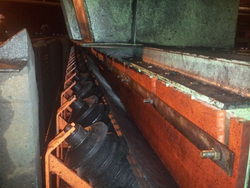 Twice a month operations had to be disrupted for 12 to 24 hours, so that a 4 to 5 person team could clean spillage. 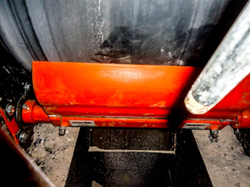 A coal plant had spillage and dust issues at two conveyor transfer points, because material was loaded onto the belts traveling 500 fpm with little control over impact or settling. 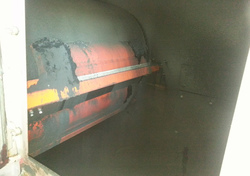 The result was excessive fugitive dust throughout the facility. 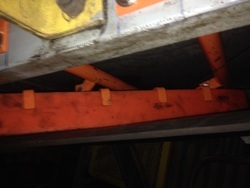 Inadequate chute control caused spillage to get caught between the belt and rubber tail pulley, damaging both. 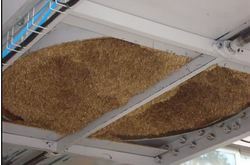 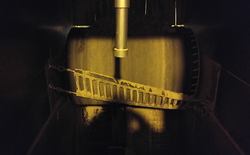 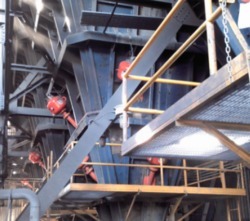 A paper plant handles 20,000 tons of bark every month and was encountering huge dust problems at the head pulley of the conveyor near the boiler, creating the need for manual clean up. 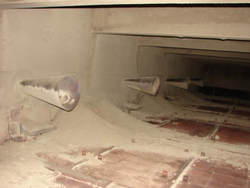 OSHA considered this area a combustible dust explosion risk, so the customer asked Martin to help them control the dust. 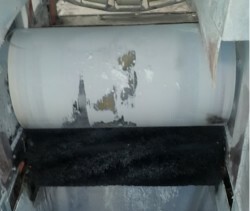 Belt mistracking was leading to premature failure of the apron seal and therefore causing material to leak out. 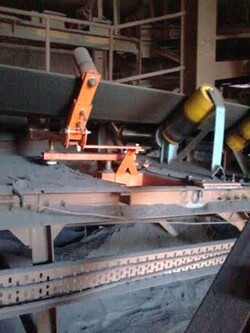 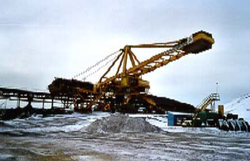 In an attempt to train the belt and prevent belt wander, the plant was constantly adjusting the conveyor belt at the tail pulley via the mechanical take-up. 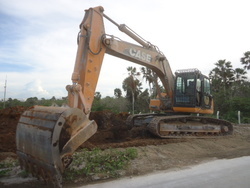 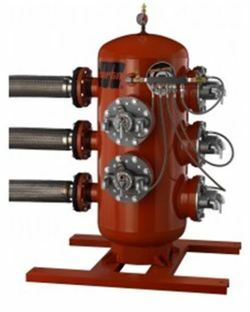 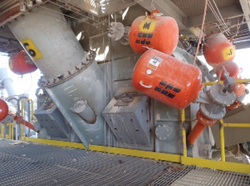 This was inefficient for the plant and the cost to replace prematurely-failing equipment was high. 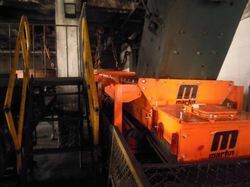 India’s leading integrated steel producer was having a belt tracking problem at its sintering plant located in the southern part of the country. 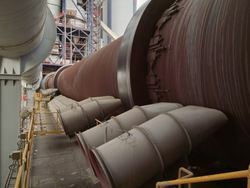 With a capacity of 14.3 million tons per annum (MTPA) of bulk material, the main conveyor belt was becoming misaligned, causing excessive spillage and piles of fugitive material. 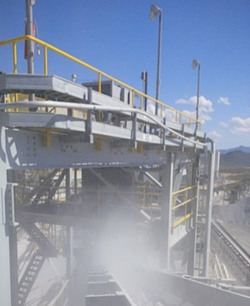 An open-pit mining complex was experiencing excessive dust problems. 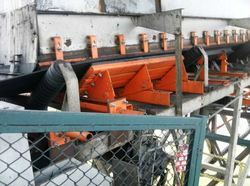 Previously, a drop chute was installed along a conveyor belt between the Crushing Plant and the Mill Plant. 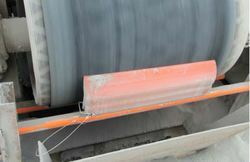 Dust was rolling off the conveyor belt causing both an exposure to employees’ health and a tripping hazard along the walkway adjacent to the belt. 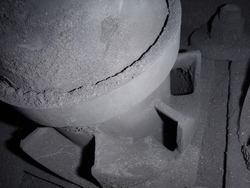 A quarry in Cedar Rapids was having trouble with fugitive dust. 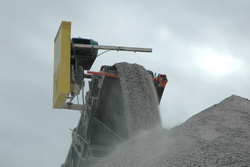 The Health Department was notified of severe dust being blown across the highway into a residential neighborhood. 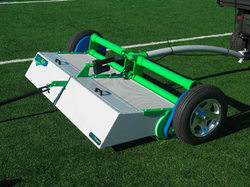 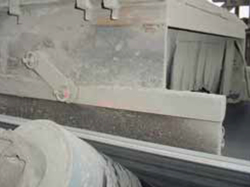 The Health Department set up a dust trailer to measure the dust particles near the residential neighborhood and findings revealed the dust exceeded code requirements. 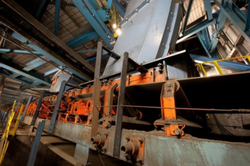 A sugar processing plant in California handles approximately 10,000,000 tons of raw sugar per year through their plant. 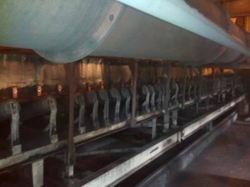 One of the transfer points was giving them trouble with spillage. 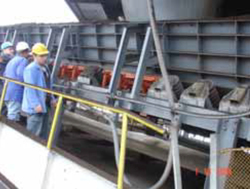 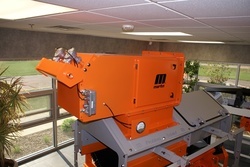 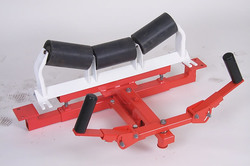 They contacted Martin distributor Applied Conveyor Technology (ACT) for their recommendation. 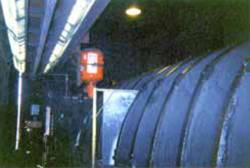 ACT recommended upgrading the transfer point with cradles, wearliner, dust curtain and skirting. 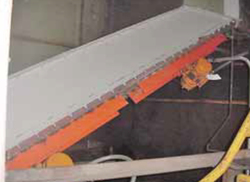 A cement plant was having trouble conveying gravel, gypsum, slag and other materials on the main conveyors feeding the clinker. 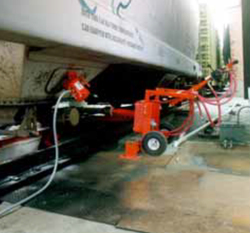 Previously, they used less expensive brush-type cleaners, which were ineffective. 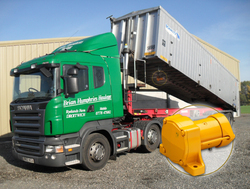 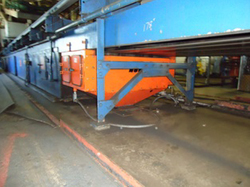 They had to stop once a day for manual cleaning, and there was significant spillage, creating dust and security risks. 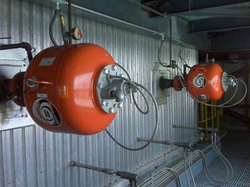 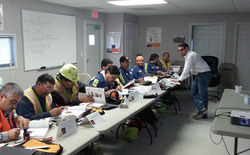 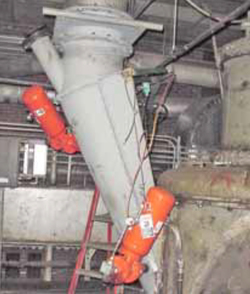 Orlando Utilities Commission – Stanton Energy Center (SEC) wanted to increase safety by limiting dust and spillage from one of its principal conveyors. 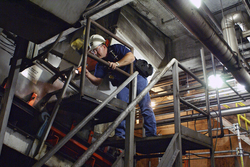 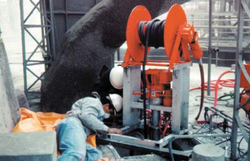 Engineers wanted to reduce airborne particles, eliminate a potential source of trips and falls, and reduce clean-up and maintenance time, allowing critical manpower to be utilized elsewhere. 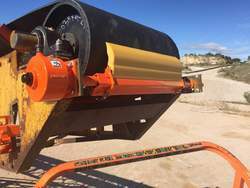 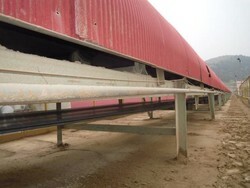 Over time, operators began to notice increased dust and spillage around transfer points on four of its 42-inch conveyors. 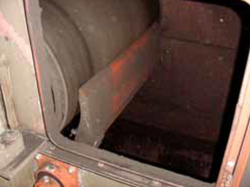 The problem was traced to worn chutes and skirtboard liners. 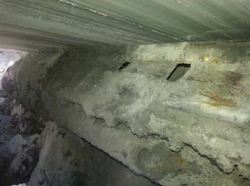 A worn-out skirtboard liner plate was found to be exacerbating the problem. 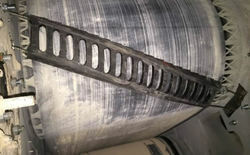 Rather than patching the existing chutes and liners, JEC want to see if they could find a better design solution. 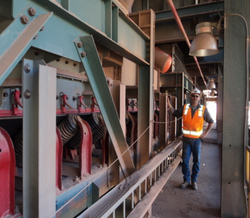 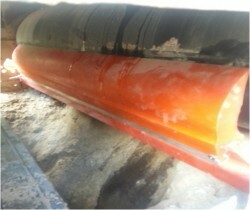 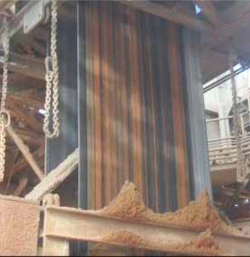 A copper mine in Arizona was dealing with existing skirting that was not containing dust and spillage. 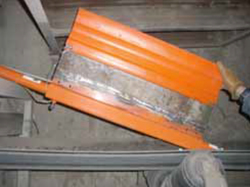 This fugitive material led to the need for manual cleaning/shoveling of the walkway every day. 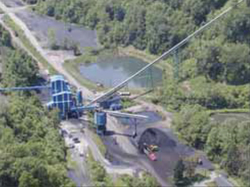 The plant even bought a temporary conveyor to help alleviate this issue. 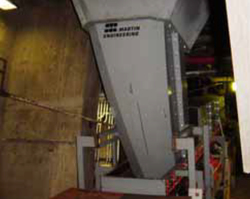 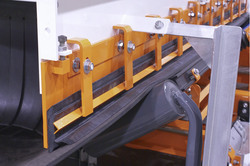 Martin installed new heavy duty Martin® ApronSeal™ Skirting on the problematic conveyor. 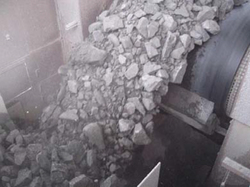 A Minnesota power generating facility was having trouble controlling dust and spillage and preventing fugitive material from reaching nearby homes and businesses. 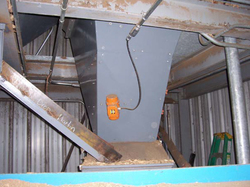 With variable size and moisture content of the fuel, chips would fall back down. 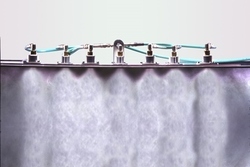 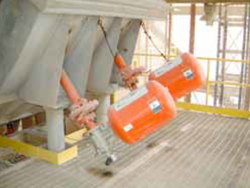 Reducing material turbulence during transfer is essential to prevent fugitive dust. 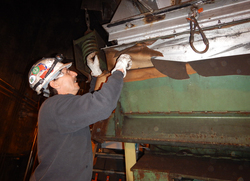 Aurora Energy Services needed to increase the flow of coal through the shiploader at its Port of Seward terminal. 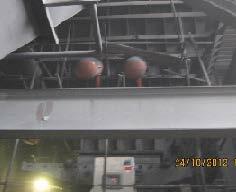 But transfer chutes on the shiploader choked at rates above 750 mtph, which limited loading speed and slowed ship-turnaround. 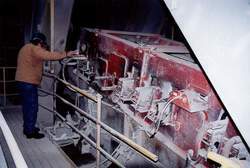 Even worse, the escape of coal dust during loading led to concerns from a nearby cruise ship dock and marinas, as well as environmental groups. 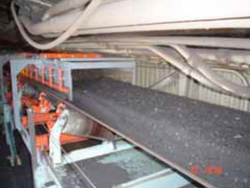 At a generating plant, 5000 tons per day of PRB coal are metered via belt feeder onto conveyors and into the plant's ten bunkers. 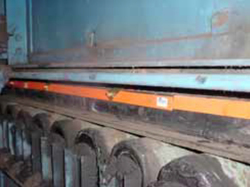 With surge of material as railcars unload, combined with the high head pressure from the hoppers, the belt feeders suffered extensive spillage. 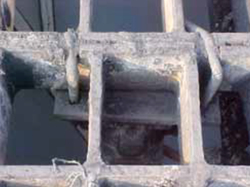 This spillage was compounded by the worn-out condition of the chutes. 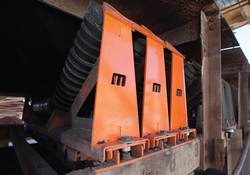 Located on the Ohio River, the Mt. 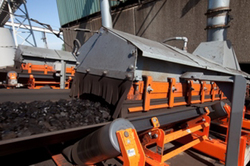 Vernon Transfer Terminal moves approximately 1.8 million tons of coal annually from trucks or railcars to barges for shipment to power plants. 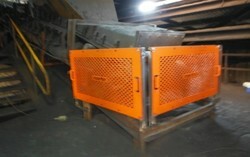 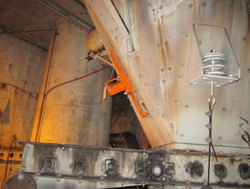 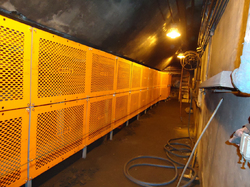 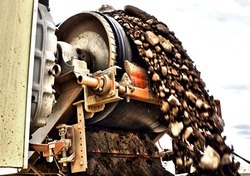 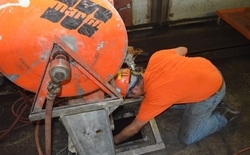 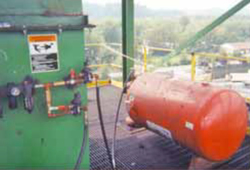 Excessive spillage from an underground belt below the railcar dumper increased cleanup costs and maintenance headaches. 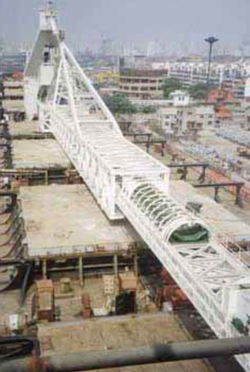 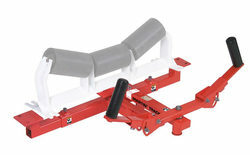 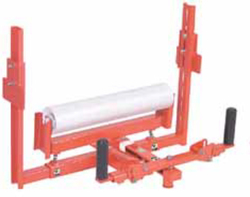 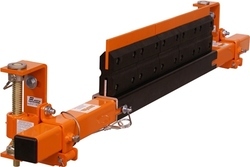 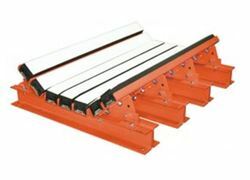 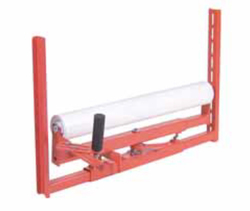 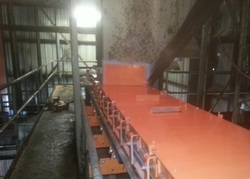 This conveyor is 84 inches wide with an operating speed of 150 fpm. 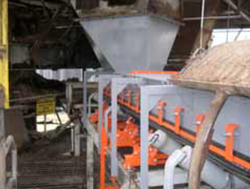 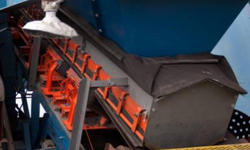 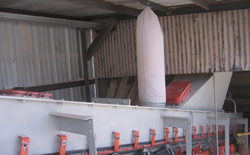 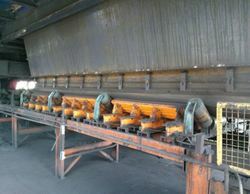 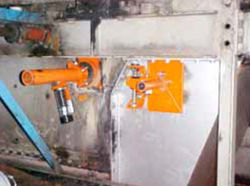 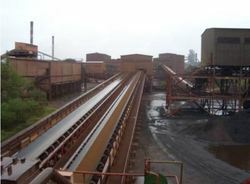 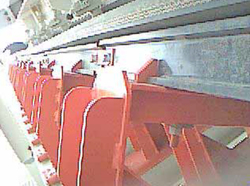 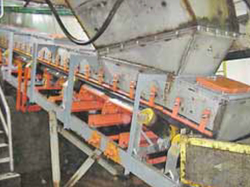 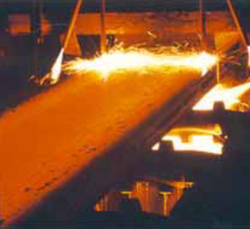 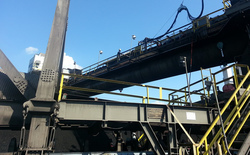 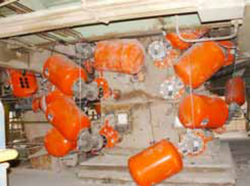 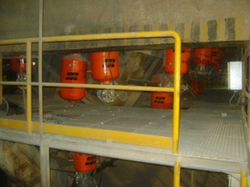 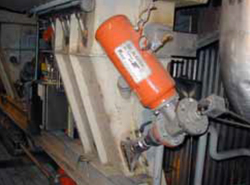 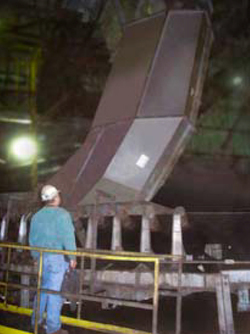 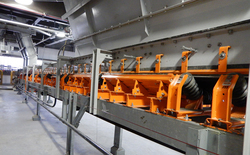 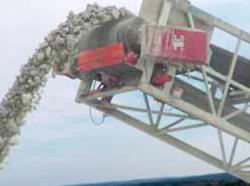 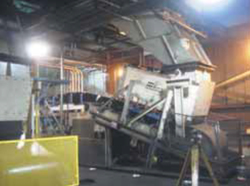 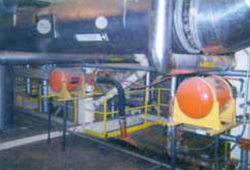 A steel plant’s material handling conveyors suffered problems with dust and spillage. 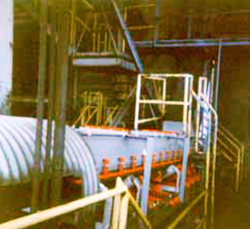 This fugitive material led to problems with neighbors and regulatory agencies. 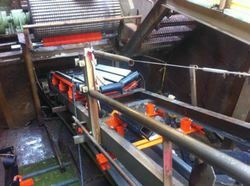 To resolve complaints from the nearby city of Vitoria, CST entered into a long-term contract with Martin Engineering's subsidiary in Brazil for the maintenance of its conveyor system. 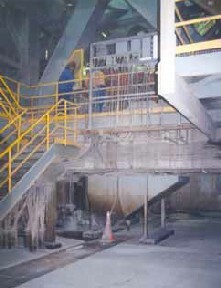 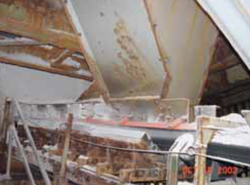 At cement company, abrasive clinker would rapidly wear out the skirtboard sealing strips, creating a severe spillage problem at the conveyor’s loading zone. 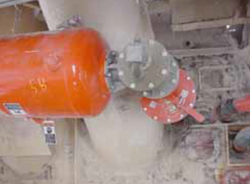 The sealing system required replacement every three weeks. 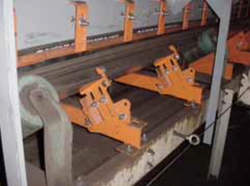 Martin Engineering provided “Personalized Performance” by tailoring the Martin® Self Adjusting Skirting to provide improved corrosion resistance while remaining within the customer’s budget. 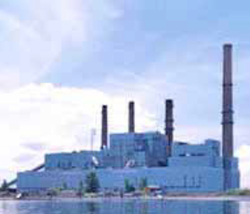 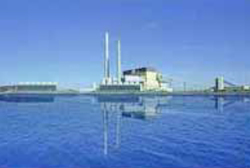 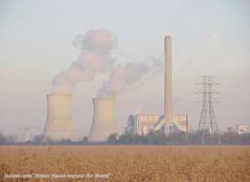 The Warrick Power Plant is operated by the Alcoa Generating Company to supply electricity for smelting operations at Alcoa’s Warrick facility. 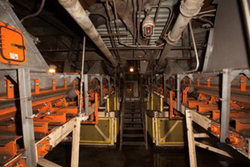 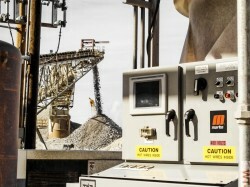 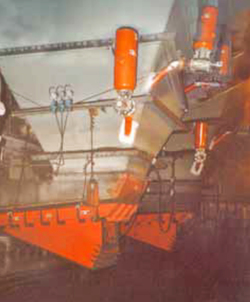 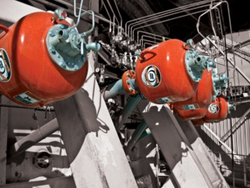 The plant’s coal handling equipment needed reconstruction and improvement, including improved systems to control spillage and dust, to provide a cleaner, safer and more productive coal handling system. 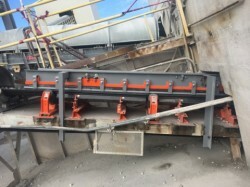 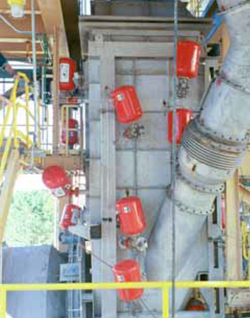 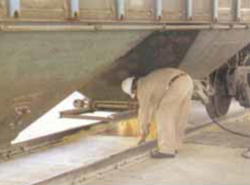 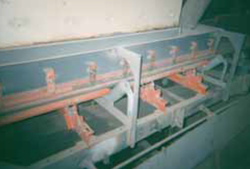 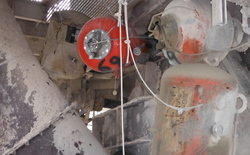 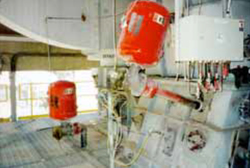 At a cement plant in Kentucky, the clinker transport system had severe problems with the escape of spillage and airborne dust in the loading zones of three conveyors. 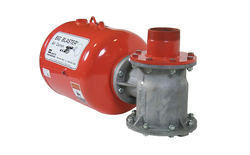 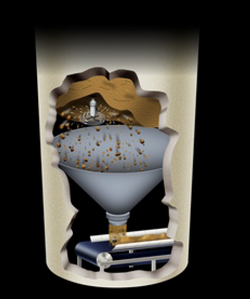 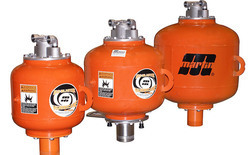 Martin® Transfer Point Solutions were recommended to stop the spillage and dust problems. 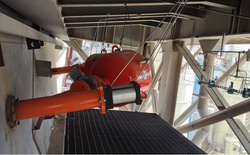 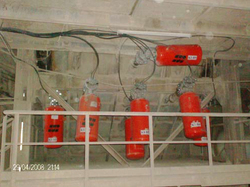 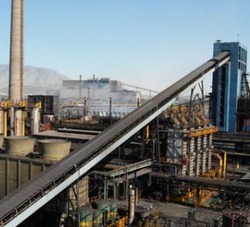 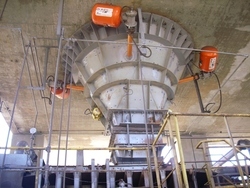 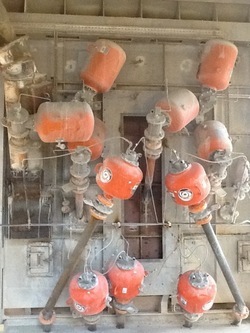 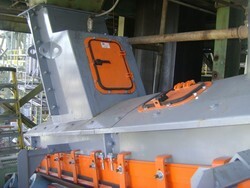 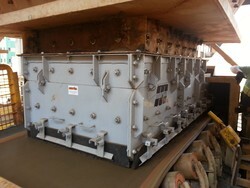 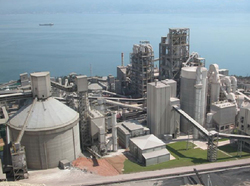 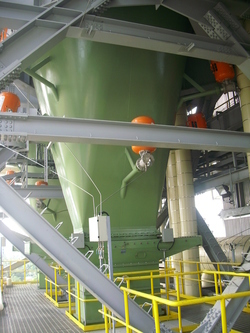 To improve the clinker conveying, the plant agreed to upgrade the transfer points. 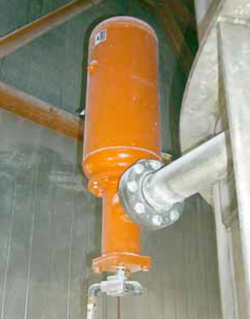 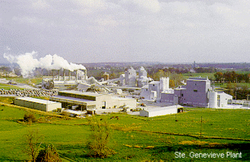 A salt plant in Ohio was looking to upgrade their skirtboard sealing systems. 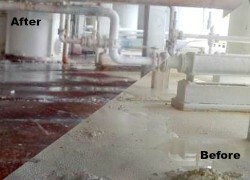 The existing slab rubber skirting was in bad repair and leaking material. 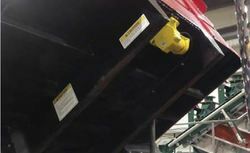 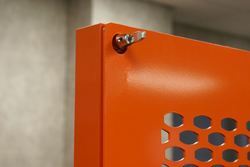 With less than two inches (51 mm) of free belt area on each side of the loading zone, the conveyor had very limited amount of space available for installation of a sealing system.